IDSL (France) is an innovation consultancy and a design company specialised in designing interaction. 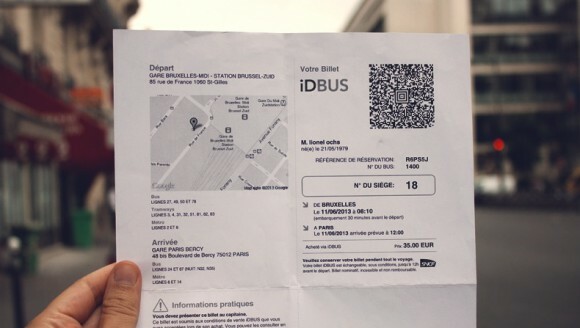 With the theme of “changing perspectives on empathy and participation”, Virginia Cruz, IDSL spoke about the collaboration of designers and ethnographers to help SNCF (French railway company) create an affordable highly qualitative bus travel service. The main question Virginia explored how design research enables organisations to better involved people to improve their service? With bigger organisations there are larger gaps between decision makers and the end-users. One way to address this gap, is to involve different people involved in different roles, levels and departments in improving the company’s services. For this study, the entire group undertook long haul bus journeys to experience the emotional and often less visible aspects of a journey. IDSL’s work that shows the answer does not line to the end-users it also can be within the people of organisation. This entry was written by Aya Miura, posted on December 13, 2013 at 10:34, filed under Good Presentations 13. Bookmark the permalink. Follow any comments here with the RSS feed for this post. Post a comment or leave a trackback: Trackback URL.